Andrea P. Thau, OD, FAAO, FCOVD, DPNAP is a Fellow of the American Academy of Optometry, a Fellow of the College of Optometrists in Vision Development, a Diplomate of the American Board of Optometry, and a Distinguished Practitioner of the National Academies of Practice. She is an Associate Clinical Professor Emerita at the SUNY State College of Optometry. Dr. Thau served as President of the American Optometric Association from 2016 - 2017. She was elected to the Board of Trustees of the American Optometric Association in 2007 and served for eleven years. ​Prior to her election to the AOA Board, she served as the first woman president of the New York State Optometric Association, the New York Academy of Optometry, and the Optometric Society of the City of New York. Dr. Thau is a former member of the Executive Board of the College of Optometrists in Vision Development. Dr. Thau is a founder of the AOA's InfantSEE public health program, a national program that provides no cost vision assessments to every baby in this country. She is a founding member and former vice president of the New York Children's Vision Coalition, a multi-disciplinary coalition dedicated to ensuring that every child in New York receives an eye examination prior to school entry. A champion of children's vision, she has been called upon to advocate on their behalf at the state and national level including as a speaker at a Congressional staff briefing. Dr. Thau is a nationally recognized lecturer in the area of infant's and children's vision. As a spokesperson for the American Optometric Association, Dr. Thau has been featured on national television, radio, and print to educate the public about eye and vision care. She is the recipient of numerous awards including New York State Optometrist of the Year, SUNY Optometry Alumnus of the Year, 20/20 Magazine's Best and Brightest Eyecare Professional and is a three time winner of Vision Monday's 20 Most Influential Women in Optical. Dr. Fran Reinstein, a Diplomate of the American Board of Optometry, has been practicing optometry since her graduation from the SUNY State College of Optometry in 1991. Upon graduation she received an award for Excellence in Pediatrics and an award for skill and proficiency in contact lens fitting. ​Dr. Reinstein completed a residency in Pediatrics and Binocular Vision at the Pennsylvania College of Optometry where she served on the faculty of the Pediatrics and Binocular Vision modules. As an Assistant Professor at the SUNY State College of Optometry, she was a clinical supervisor in the Pediatrics Department. Dr. Reinstein serves as a trustee of the New York State Optometric Association. She is the immediate past president of the Optometric Society of the City of New York. She is also on the Executive Board of the Children's Vision Coalition. In addition, she is a member of The College of Optometrists for Vision Development. Dr. Reinstein has lectured extensively on infant and pediatric vision. She has conducted several vision screening programs for neuro -typical and developmentally delayed preschool children. Dr. Marilyn Vricella, a Fellow of the College of Optometrists in Vision Development, received her undergraduate degree from Lehigh University and her Doctor of Optometry from the SUNY State College of Optometry. Upon graduation she received the Dr. F.W. Brock Memorial Award for Outstanding Clinical Performance in Vision Training, the Dr. M. Cohen Memorial Award for Volunteer Commitment to Community Service, the Dr. S Eisenberg Memorial Award, the Schnurmacher Merit Scholarship, the Foundation for the Development of Humanities Scholarship, and the SUNY Optometry Alumni Scholarship. ​Dr. Vricella completed a Residency in Pediatric Optometry at the SUNY State College of Optometry. 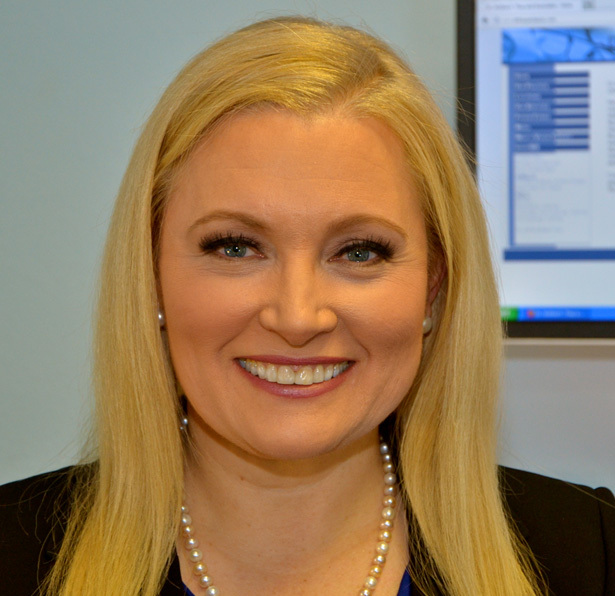 Currently she is an Associate Clinical Professor and the Pediatric Residency Director at the SUNY State College of Optometry and past Educational Facilitator. In addition, she has lectured both nationally and internationally in the areas of Pediatrics and Binocular Vision and has numerous professional publications. She has been in private practice for over ten years and provides excellent primary pediatric and adult eye care and contact lens fittings. Dr. Elsa Sheerer received her Doctor of Optometry degree from SUNY College of Optometry. She completed her residency training in pediatric optometry at SUNY College of Optometry and Woodhull Medical and Mental Health Center in Brooklyn. She specializes in diagnosis and treatment of various ocular and visual conditions affecting the pediatric population such as amblyopia, strabismus, and learning-related vision conditions. She also manages pediatric ocular diseases and provides vision therapy. In addition to performing comprehensive eye exams for adults and children, Dr. Sheerer also enjoys providing eye care to children and adults with special needs such as Down Syndrome, cerebral palsy, and autism. Dr. Sheerer is an InfantSEE® provider and a member of the American Optometric Association, American Academy of Optometry (AAO), and College of Optometrists in Visual Development (COVD). Additionally, she has volunteered her time with Volunteer Optometric Services to Humanity (VOSH) in a mission trip to Peru. ​Dr. Sheerer has previously presented at the AAO and COVD annual meetings.